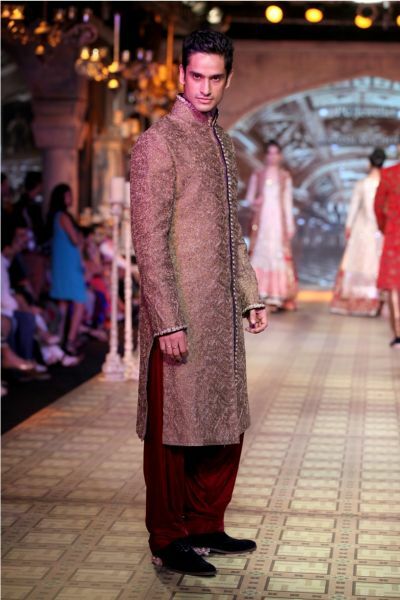 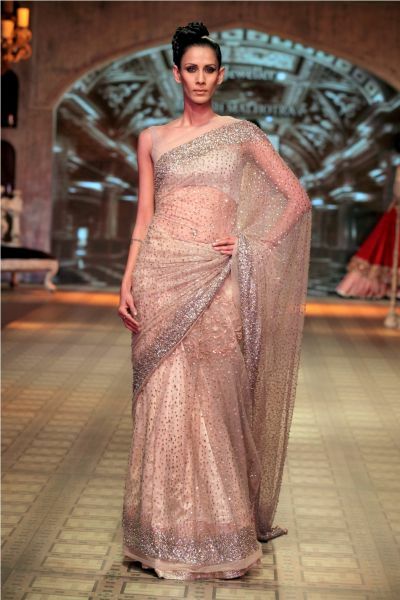 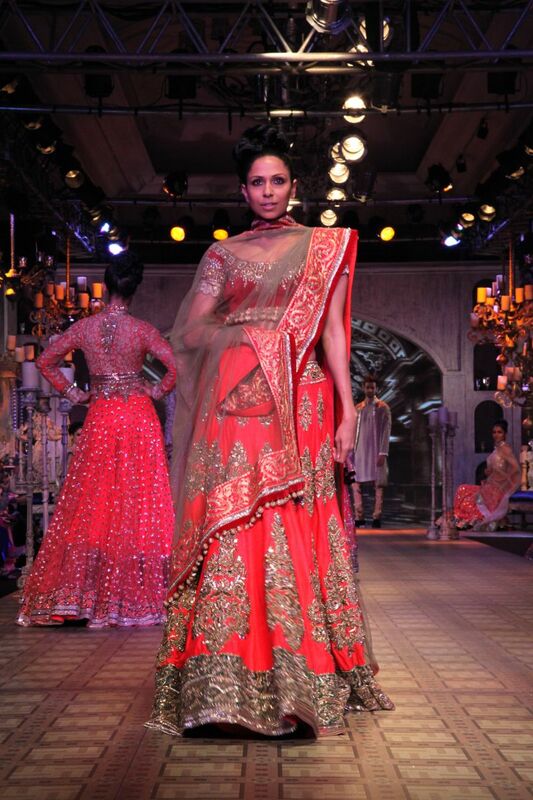 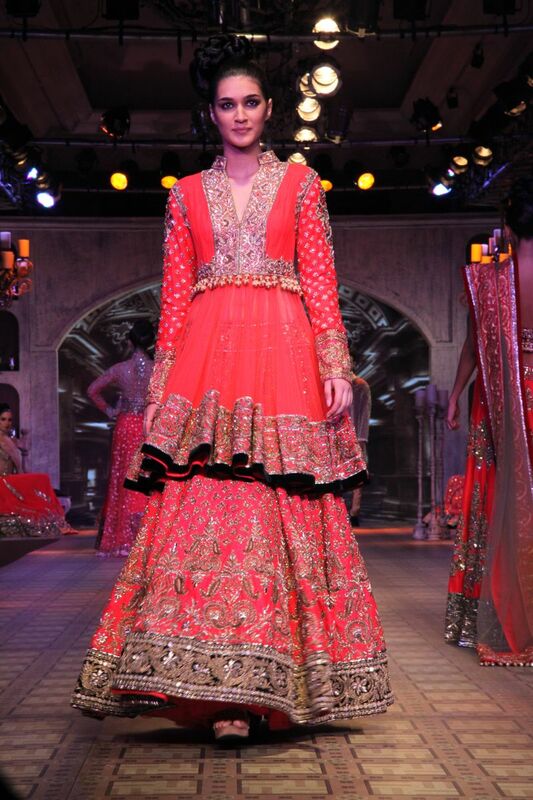 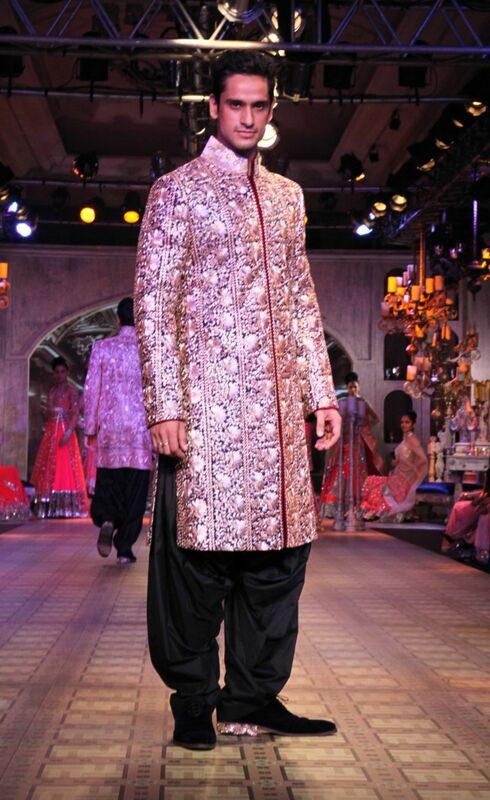 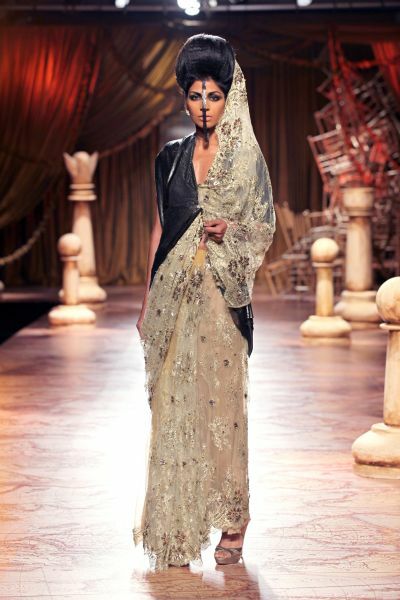 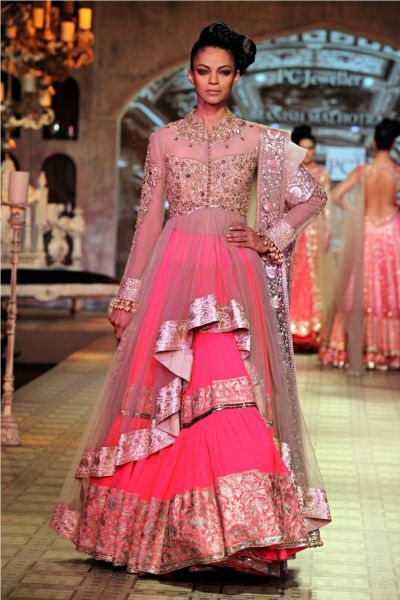 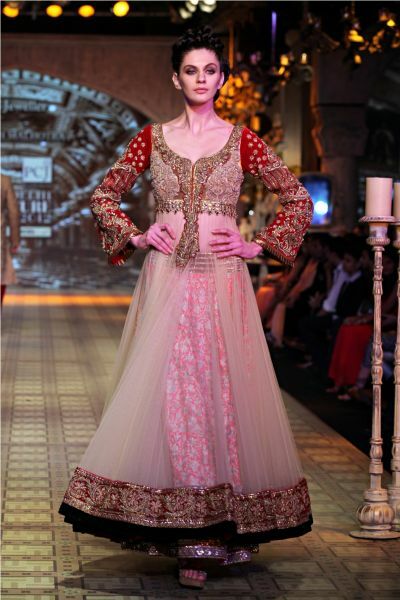 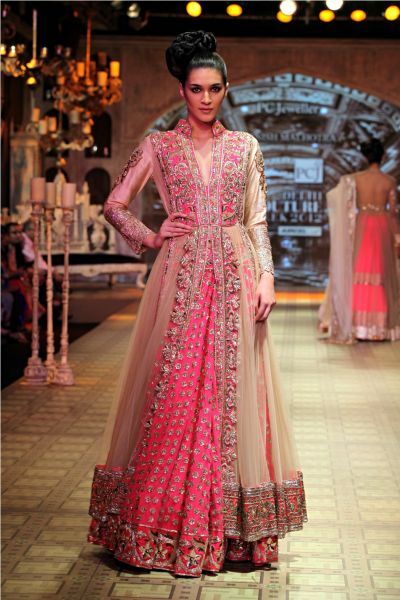 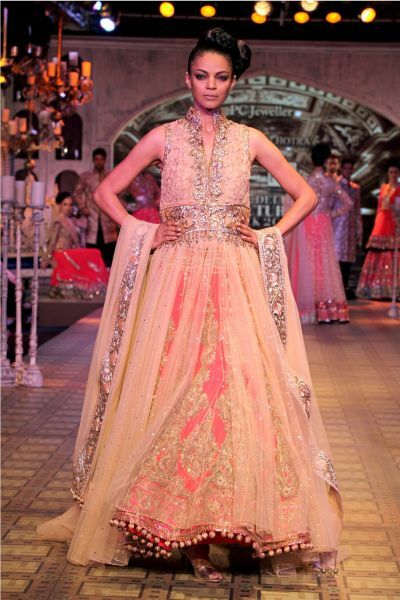 Gorgeous bridal collections by Shantanu & Nikhil and Manish Malhotra at Day 4 of Delhi Couture Week. 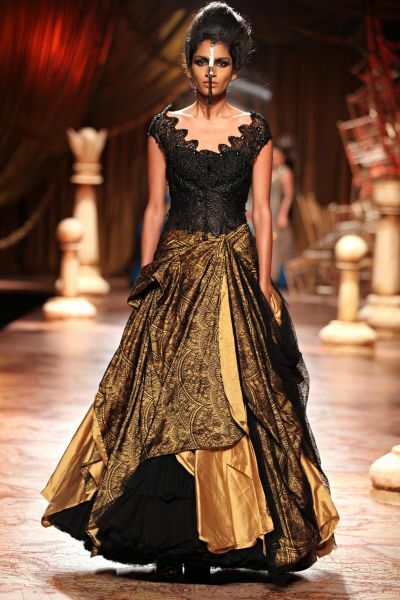 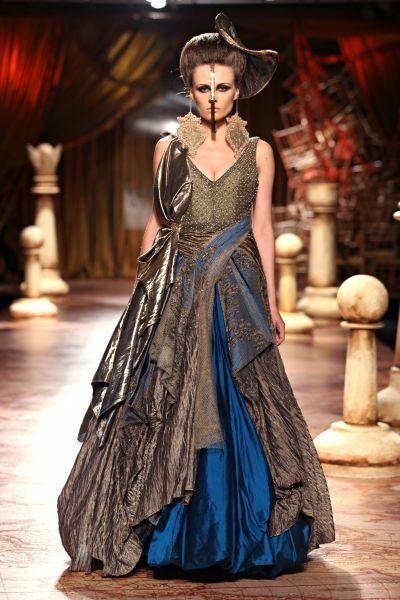 Shantanu & Nikhil's fusion collection had models walking down the runway in beautiful dresses, leather jackets and dark makeup- a very gothic look. 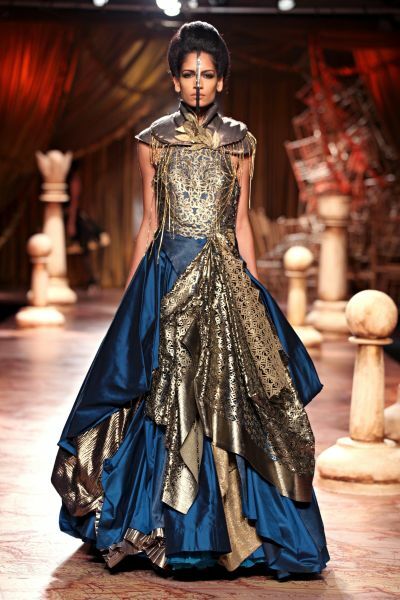 Love the colours and fabrics used throughout this collection. 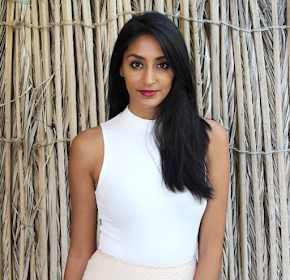 Manish Malhotra's collection was just as beautiful with gorgeous embroidery, sheer fabrics, and traditional bridal colours of red, pink and gold. 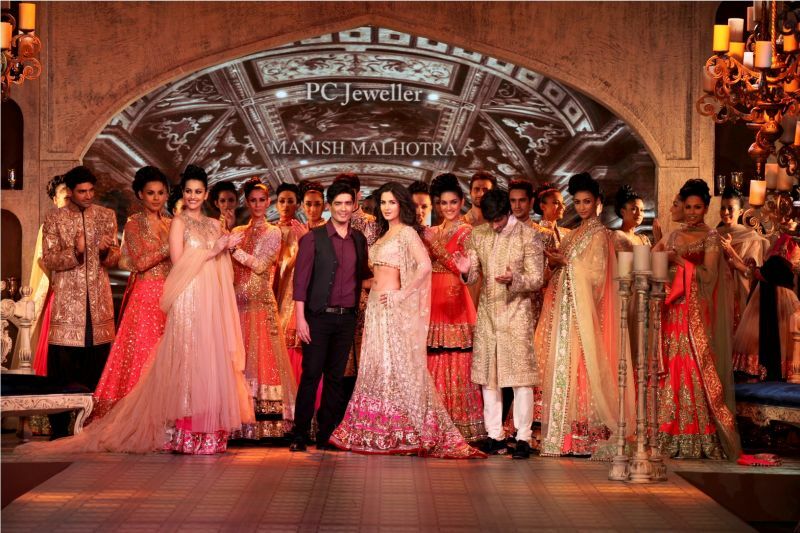 Showstopper Katrina Kaif looks absolutely stunning in her gold lengha!